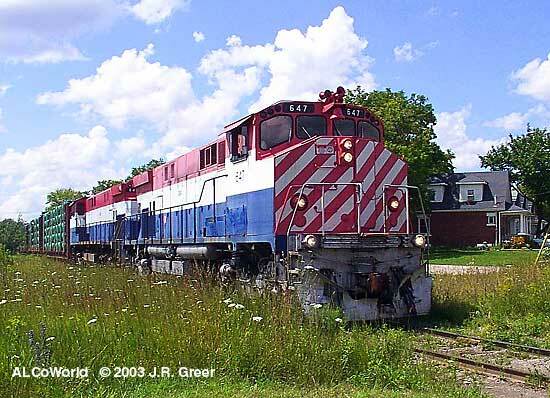 ex-BC Rail 647 and 646 are switching at the Guelph yard, Ontario, June 23rd, 2003. Note that splendid light package. Shine on! Newcomers at the OSR are four ex-BC Rail M420W, nos. 644 - 647. 646 and 647 are running, the other two are reportedly for parts. 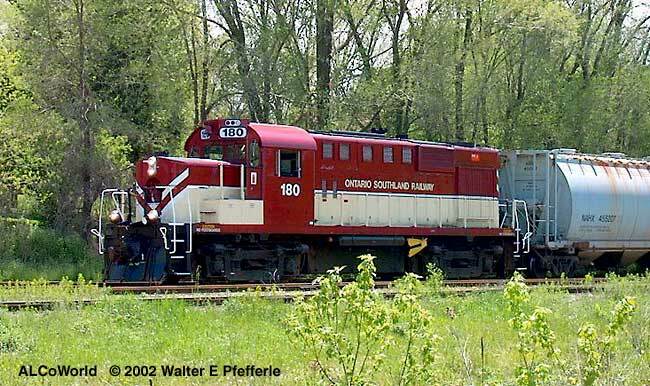 180 at Ingersoll, Ontario, May 2002. The lone ALCo S6 no. 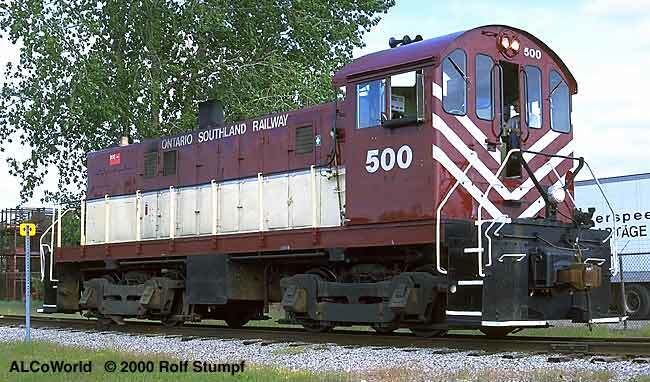 500 returns home from work around Tillsonburg, June 2nd, 2000.